Our container, loaded with everything we own, arrived in port ahead of schedule but just days before Passover when virtually all activity stops here. That gave us a fighting chance to complete the move to our new, long-term place while wrapping up our stay in our 3-week rental. (The container-ship docked in Ashdod. Our map of Ancient Israel includes an Ashdod on the coast so it was apparently a viable place over 2,000 years ago.) In order to clear customs we had to fill out pages of forms written entirely in small Hebrew characters; so small that even if we could have read it we wouldn’t have been able to read it. 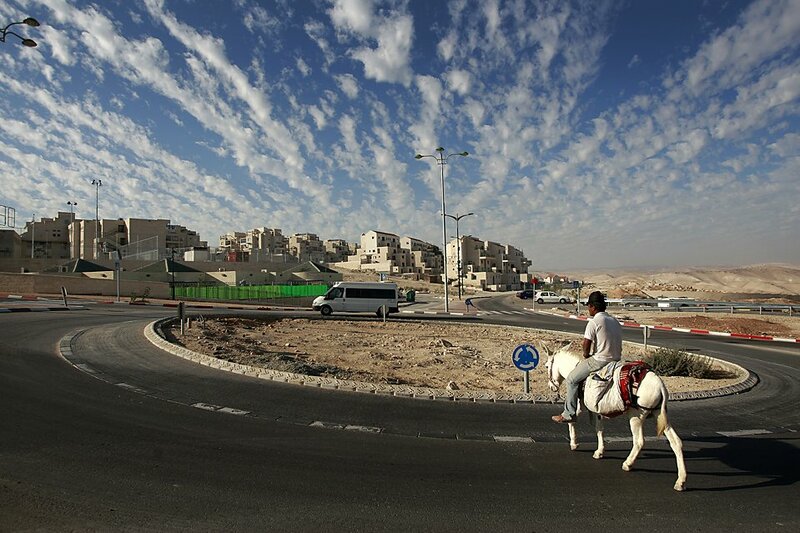 We got help, although we had to cab to the outskirts of Jerusalem to meet the fellow that helped us. Days later the container arrived on a flatbed and parked in the street in front of our building. A local policeman made the driver jockey the vehicle back and forth several times so that its tires were entirely behind a painted line; this in a town where cars seem to park anywhere and everywhere, including on sidewalks. Now that we’ve arrived, gotten our papers, set up a bank account and shopped a bit, it’s become painfully clear; we need to learn the language. And we are powerfully motivated. Imagine being able to shout and argue with everyone about everything, just like the natives. In the process of our “absorption” (there is a Government Ministry here for that) we’ll soon begin formal Hebrew lessons, “Ulpan,” a school for the intensive study of Hebrew, but our education has already begun. We’ve already learned three new words. Inexpertly transliterated they are shneeah, balagan, and sababa.